Distributed denial of service (DDoS) protection tools help secure websites and applications and prevent DDoS attacks. DDoS attacks bombard websites with traffic, which is traditionally delivered via “botnets" that are created by networked endpoints connected via malware. DDoS protection solutions prevent these kinds of attacks by monitoring web traffic and setting baselines for normal traffic loads. If an incoming traffic flow accelerates rapidly, web filters will identify abnormal events and redirect traffic to a controlled source. Companies use DDoS protection tools to proactively maintain steady site functionality and prevent sudden site delivery failures caused by the rapid influx of traffic. Many content delivery networks come with additional DDoS protection features or modules. Since they often host websites and content, ensuring smooth delivery is one of the vendor’s main objectives. DDoS Protection reviews by real, verified users. Find unbiased ratings on user satisfaction, features, and price based on the most reviews available anywhere. AWS Shield is a managed Distributed Denial of Service (DDoS) protection service that safeguards web applications running on AWS. AWS Shield provides always-on detection and automatic inline mitigations that minimize application downtime and latency. Cloudflare’s layered security approach combines multiple security capabilities into one service. It prevents disruptions caused by bad traffic, while allowing good traffic through, keeping websites, applications and APIs highly available and performant. SiteLock, the global leader in website security solutions, is the only provider to offer complete, cloud-based website protection. Its 360-degree monitoring detects and fixes threats, prevents future attacks, accelerates website performance, and meets PCI compliance standards for businesses of all sizes. Founded in 2008, the company protects over 12 million ​websites worldwide. For more information, please visit sitelock.com. Powered by the proprietary Webroot threat intelligence platform preferred by industry-leading network security providers, DNS Protection is a light-weight, easy-to-implement domain filtering service designed to improve security with more granular control over internet access. Webroot® SecureAnywhere DNS Protection secures critical DNS Internet connectivity, stops malware and controls web access for any device or guest on-network and any user off-network. Deployed in minutes, it adds zero latency, reduces web-borne malware by up to 90% and provides granular access policies through 80+, highly accurate URL categories. Performance issues, unavailability of critical applications, security breaches. These can cause financial loss, reputation damage, employee dissatisfaction and churn of customers. The Flowmon solution provides IT operations with a deep understanding of network and application behavior to avoid these situations. Based on performance, scalability and ease-of-use, Flowmon is trusted by companies globally, delivering them monitoring, diagnostics and analytics for optimizing performance of their infrastructure. Flowmon ADS module delivers fast anomaly detection, network behavior analysis and protection against advanced cyber threats. Flowmon APM allows you to drive user experience and application value. With Flowmon DDoS Defender you can protect applications against volumetric attacks. For full-scale IP traffic recording, IT professionals can rely on Flowmon Traffic Recorder. Check Point DDoS-P (DDoS Protection) uses a hybrid of dedicated on-premises and cloud-based resources to defend against volumetric, application, reflective and resource-exhaustive DDoS attacks. Cloud Armor delivers defense at scale against infrastructure and application Distributed Denial of Service (DDoS) attacks using Google's global infrastructure and security systems. Verisign DDoS Protection Service helps organizations reduce the risk of catastrophic DDoS attacks by detecting and filtering malicious traffic aimed at disrupting or disabling their internet based services. Voxility DDoS Mitigation is a DDoS Protection designed to work with almost any application. BitNinja is an easy-to-use server security tool, which can be installed on your server within a couple of minutes and requires virtually no maintenance. It is a mixture of an on-premise and cloudbased solution. It is an agent which sits on your infrastructure and sends the attack information to the central server which is in the cloud. We have a new technology called defence network, which means that every BitNinja protected server learns from each attack and shares the learned information with the central server and with all the other BitNinja enabled servers, so the shield just gets stronger and stronger with every single attack. Corero Network Security is the leader in real-time, high-performance DDoS defense solutions. FortiDDoS protects from both known and zero day attacks with very low latency. It's easy to deploy and manage, and includes comprehensive reporting and analysis tools. Project Shield is a free service that uses Google technology to protect news sites and free expression from DDoS attacks on the web. Fully auto discovery of the application layer (SLA), Building dynamic whitelist, identifying the DDoS attacks. Andrisoft Wanguard is an award-winning enterprise-grade software which delivers to NOC, IT and Security teams the functionality needed for effective monitoring and protection of large WAN networks against volumetric attacks. Availability Protection System (APS) delivers on-premise DDoS protection from availability threats such as application-layer DDoS attacks before they impact your network and service availability. Fully Managed, Intelligently Automated DDoS Attack Protection A fully managed, global, DDoS Protection Service that provides availability protection for your business. Protect the Network and Keep your Business Flowing. Ensure service availability and performance by delivering automated DDoS attack mitigation. Anti DDoS Guardian is high performance DDoS protection software for Windows Servers. BitMitigate provides enterprise level DDoS and bot protection. BlockDoS provides a global DDoS mitigation service that protects internet operations from the debilitating service disruptions caused by DDoS attacks. Safeguard your network, website and cloud applications while simplifying operations with CenturyLink DDoS Mitigation Services -- network-based, carrier-agnostic service that provides DDoS mitigation with a single point of contact for quickly identifying and mitigating the latest threats. "With CenturyLink® DDoS Mitigation network security services you get layers of defense and visibility through enhanced network routing, rate limiting and filtering, and advanced network-based detection powered by our mitigation scrubbing center solutions. Safeguard your network, website and cloud applications while simplifying operations with our network-based, carrier-agnostic service that provides DDoS mitigation with a single point of contact for quickly identifying and mitigating the latest threats. • Scalable Attack Ingestion Capacity • Multi-Layered Attack Protection • Carrier-Agnostic Protection and Detection • Global Footprint and Network Depth • Proven Attack Traffic Visibility"
Corero SmartWall Threat Defense System (TDS) delivers comprehensive DDoS protection, eliminating attacks automatically and in real-time. F5 Herculon DDoS Hybrid Defender provides next-generation hybrid DDoS defense to ensure real-time coverage against ever-changing network attacks, sophisticated application attacks, volumetric DDoS threats, and those that hide behind SSL. FastNetMon is a very high-performance DDoS detector built on top of multiple packet capture engines: NetFlow, IPFIX, sFlow and SPAN/port mirror. HaltDos is AI-based Web Application Firewall and DDoS mitigation solution which protects web applications and enterprise data centers against wide range of cyber attacks. Ensure security and high availability, also during peak times. Your website and IT infrastructure are protected efficiently, while remaining on their normal performance level. The global Myra network as well as the error detection protect you against denial-of-service attacks. Utilize deep insights of network traffic to ensure your digital network is secure across all touchpoints. Neustar SiteProtect NG cloud is the optimal choice for attacks too big for on-premises hardware to manage..Neustar SiteProtect NG offers flexible solutions so you can stay connected, reduce the threat of theft, and protect your bottom line. NSFocus ADS is an Anti-DDoS solution that provides on-premises equipment, cloud-based detection and mitigation services, or a hybrid offering that combines the strengths of both approaches. provides always-on or on-demand Layer 3/4 DDos mitigation to ensure the availability of your network when under attack. Each mitigation center in the network is based on a Juniper MX480 routing platform and an Arbor TMS mitigation platform for high capacity packet filtering. This, in combination with our patent-pending IP to auto-detect and auto-mitigate attacks, delivers you the industry's best DDoS protection solution, managed 24x7 by top cybersecurity experts manning our SOCs. Qrator continuously updated technology solution severely mitigates the risks associated with DDoS attacks of all kinds. Qrator Labs offers DDoS mitigation solutions. DefensePro provides advanced DDoS protection and IoT botnet attack mitigation. DefensePro provides automated protection from fast moving, high volume, encrypted or very short duration threats, including IoT-based attacks like Mirai, Pulse, Burst, DNS, TLS/SSL attacks and those attacks associated with Permanent Denial of Service (PDoS) and Ransom Denial-of-Service (RDoS) techniques. 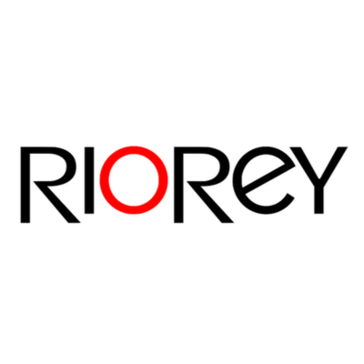 RioRey works with dedicated DDoS defense platforms in the industry for detecting and mitigating DDoS attacks. SiteLock cloud-based security services keep businesses up and running smoothly while in the midst of an attack. DDoS Shield is a cloud-based DDoS mitigation solution thats built on our highly scalable infrastructure. It works across the enterprise, reducing the impact of high volume attacks, while protecting your IP address space regardless of internet provider. Hi there! Can I help you find the best DDoS Protection solutions?